There’s been a whole lot of talk lately about goals for the New Year, ‘words’ to plan our 2013, and new objectives to move forward in our writing careers. But underneath all the planning and projections, there are two little things called ‘motivation’ and ‘intention’ that provide a foundation for all of the above. These two ‘things’ drive our wild and wacky world of writing in one direction or the other. They are the incentive behind our creativity and out-of-the-box thinking. One is our ‘drive’ and the other is our purpose. When we evaluate our writing worlds, what is our Thing One and Thing Two? We all have them, whether we know it or not. The two things that stir up our emotions and propel us forward with our stories - the pulse and purpose behind our novels. What are your PRIMARY ones? Your main reasons? When you let your Thing One and Thing Two out of their boxes, what do you find? There are several possible answers and none of them are wrong. I'm going to start with a few of the most "superficial" (which I do not mean in a negative way here), and then move to those that are hitting more at the core of who we are. 1. If your motivation is to gain recognition, then your intention might be to write the next bestseller. There is NOTHING wrong with either of these. Some writers write just for the sheer joy of seeing their names in print and holding their stories in the hands. The prestige and attention associated with your name in print can be the catalyst to keep your writing more and more. But the 'next bestseller' will only last so long. Will this motivation or intention be enough to sustain you for the long haul? 2. If your motivation is to entertain, then your intention might be to tell a good story and hone your craft. NOTHING wrong with this one either. Reading is a fabulous escape and can be a wonderful journey. And we all want to read books that are well written, but keep in mind that reviewers are not always friendly -and everyone has an opinion. Setting all your eggs in this basket can end in some big time disappointment and insecurity. 3. If your motivation is to earn money, then your intention might be to write quickly and often. Again, nothing wrong with this one either. It’s called a job and serves a vital purpose. But remember, the majority of authors out there also hold some sort of second job, or have a working spouse, because there are few authors who are paid enough (or write at such a level of recognition) to solely write for a living. However, I want to talk to you about two more 'things' we might not focus on as much. Two that I think really hits the mark for most of us who write with a Christian focus. 4. If your motivation is out of sheer joy in the writing journey, then your intention is to…write. 5. If your motivation is to glorify God, then your intention will be to craft stories that point to Jesus in some way or other. In all honesty, I think we are called to write. It’s more than just something we ‘want’ to do, but something God stirs within us in an indescribable sort of way. We find joy in the journey and we find our desire fueled by creativity, because of the work Christ is doing in our souls. We're compelled to share it in the way He's gifted us... writing. When our Thing 1 and Thing 2 come from that perspective, our goals, plans, and objectives are clear. Our writing has the best motivation paired with the best purpose. Why? Because the end-result goes beyond us and touches the core of other human beings. We're writing for the One, first and foremost, and that motivation and intention ripples out to others through our lives and the written word. Have you ever noticed how Jesus transforms whoever he sets-his-mind out to meet? His directness and influence change some rough fishermen into history-altering apostles, a adulteress-Samaritan into an amazed disciple, and a self-righteous murderer into a Word-wielding missionary. He left the blind seeing, the deaf hearing, the lame leaping, and the dead breathing. His sheer presence changed the dynamics of all those around him. And His Spirit lives in US! Whoa. So what happens when HE influences our stories? When His love penetrates the fabric of our tales and permeates throughout our characters’ lives? When his grace builds the binding of our books and beats at the heart of our stories’ themes? And it doesn’t have to be super-obvious. In fact, some of the best moments happen in the everydayness of things. Most of the time, in our real lives, people see Jesus in us when we don’t say a word, then they begin asking questions which leads to a discussion about our primary Calling..Jesus. If our motivation is to glorify him through the joy of writing so that He will influence the readers through our stories, then…it will happen. Because our priorities are in order - and He finds pleasure in celebrating with His kids. The recognition is nice. Entertainment is fun. Earning money is certainly helpful. But when it’s time to clean up at the end of your day, your year, or your life, what will matter most? The story Christ is telling through you, because when his love is theme of your life, then it will automatically come out in your writing too. And the possibilities of what He can do with our Thing 1 and Thing 2??? So, what is your motivation for writing? Do you know what it is? If you have a Christian focus, how do you hope Christ is shown in your writing? Pepper Basham writes Blue Ridge Mountain Romance peppered with grace and humor. She's a pastor's wife, mom of five, and full-time speech-language pathologist who loves working with kids on the Autism Spectrum. She's constantly in search of more time in a day, a good laugh, a friendly hug, a piece of chocolate, great jazz, and a new story. She's stays in awe of God's goodness in calling her to write and His faith in her to be able to do it in the middle of her chaotic life. Obviously He has a whole lot more faith in her than she does. She lives in Tennessee with her family and monster-dog, Sampson. I knew you'd written this blog post before I saw your name (and your beautiful smile!) at the end of the blog, Pepper. I recognized your voice -- and your passion. Someone I know once said that each writer has one key message to share with their readers -- and I believe that's true. And that's one reason I write: I believe that God has given me a message, a bit of truth, to intertwine into my novels. This truth is distilled from my life -- my experiences, my perspective -- and then written in my writer's voice. Amen, so true. "The truth is distilled from my life...and then written in my writer's voice"
Pepper, what a beautiful post. You bring out such important truths. I love that, when my motivation for writing is to glorify God, He works through that to bring His message to "my" written page. As I am filled up with Him, He meets me and gives me inspiration to share Him with "someday-readers." 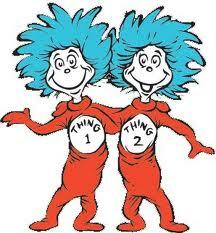 Thanks for the reminder to think about "Thing 1 and Thing 2" in my life. Pepper, this is an awesome post. That honestly I'm still processing. Something about the word "calling" is so freeing, no matter what the purpose God will use it for His glory whatever that means. It means I don't have to try to figure it out (something I'm tempted to do oftentimes). LOVE this, Pepper! Pondering :) You do that to me, yanno? I think I have a combination. Is that allowed? Incredible post, Pepper! Like Mary, I think I have a combination of motivations. Great post, Pepper! I think my motivation comes from my desire to serve God and my desire to help those who've struggled with deep challenges in their life and are looking for hope. I know that I would like the extra income boost, even if it's small. It's humbling and beautiful, isn't it? I think this is a matter of deep thought, don't you? All the way to our hearts. Ditto what I said to Julia. I was worried that my professor-brain might have popped out a little too much in this post. That's what I want him to paint too. Grace. That small word carries SUCH healing and hope. AMEN to you too. YES! And what better hope than the hope of the Gospel. I believe we are called to write too. We were made in God's image and He chose words as His form of communication with us. I believe that's why we are so connected to the written word! I so love your heart! Your words speak such truth. The calling to write...for whatever intention, is a calling from God, so we write for Him.